This may be a good place to pick up a souvenir. Traditional Bali handicraft, masks and puppets, baskets and statuettes, textiles and furniture - these are all exquisitely made and presented. 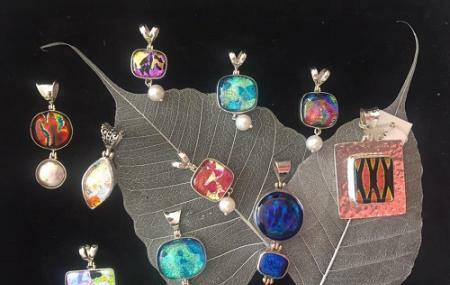 The gallery displays work of hand-picked best artisans from around the island. The gallery is overwhelmingly full of choices, and has been said to have a very Aladdin's cave feel. A lot of the items presented here come from all over the Southeast Asian region. You should definitely consider getting yourself batik textiles. For some reason the gallery also arranges for private tours of the island. The costs of the tour are quite cheap, and they provide an English-speaking driver. How popular is Kuluk Gallery? People normally club together West Bali National Park and Big Tree Farms Bamboo Chocolate Factory while planning their visit to Kuluk Gallery. Большой, в три этажа, антикварно-сувенирный магазин. Побродить интересно. Уклон в сторону масок, кукол и каких-то тряпок. На третьем этаже крупногабарит: столы, двери, лавки.